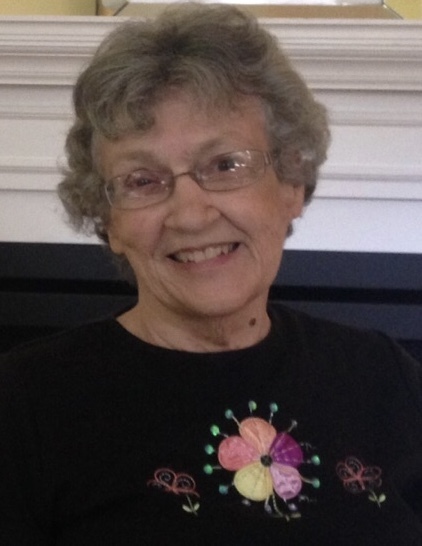 Mary Lou Esmond, age 78, a lifelong resident of Lake Geneva, passed away Sunday, July 8, 2018, after a long battle with health issues. She was born in Belvedere, IL on January 26, 1940, the daughter of William and Mary (Bray) Leonard. She worked as an Operator for Wisconsin Bell before being put in charge of their business offices. After she married, she left her job to focus on being a homemaker and devoted mother. Mary Lou married Philip C. Esmond on May 6, 1961in Lake Geneva. In her youth, she was a member of the very first 4H Club formed in America. She also was a member of the Future Home Makers of America, the Boots and Saddle Club, and enjoyed showing the family’s livestock at the Walworth County Fair. After she married, Mary Lou kept active helping her husband on the farm, and belonged to the Traver Grade School Community Club, volunteering at her children’s school. After joining the Walworth County Arts Council, she taught students about famous artists as a Picture Lady at Traver Grade School. She happily attended her children’s school performances, basketball games, and awards programs, always making sure they knew how important they were to her. While her health allowed it, she was actively involved in the Walworth County Farm Bureau, the Zenda Garden Club, the Linn Neighborly Club, the Catholic Daughters of America Card Club, the Southern Lakes Chapter of Sweet Adeline’s International, and worked at the election polls for Linn Township. She will always be remembered for her caring and giving spirit, her famous potato salad that everyone requested she bring to family gatherings, for always being the best mother, wife, and friend that she could be, and for her beautiful smile and bubbly laugh that would light up a room. Mary Lou is survived by her husband, Phil; 2 children: Mike (Mary Jo) Esmond, and Kristi Esmond; 2 siblings: Joyce (Lee) Schmidt, and Bill (Geri) Leonard; and many other family and friends. She was preceded in death by her parents and her brother, Ron. Funeral Services will be held on Monday, July 16, 2018, at 11:00 a.m. in the main chapel of the Derrick Funeral Home in Lake Geneva; Minister Shunda Davis will officiate. Burial will follow in Rose Lawn Memory Gardens. Visitation will be Sunday from 4:00 p.m. until 7:00 p.m. at the funeral home. Donations may be made in her name to The Time is Now organization to help those less fortunate. timeisnowtohelp.org. to sign the on-line guest registry click guest book on the left side of the page.